Appearance: Blue background with veining and occasional small green hues. 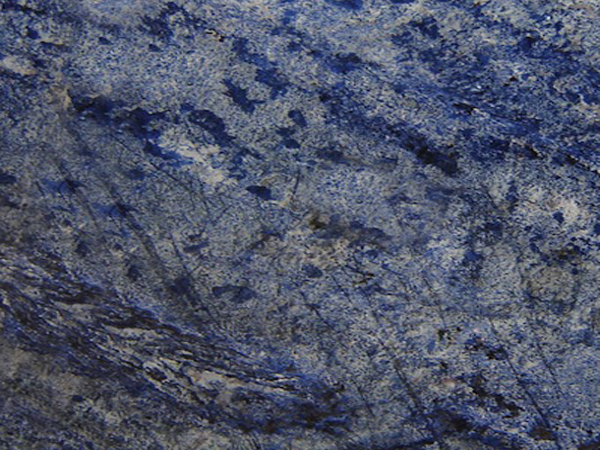 Due to its beauty and unique looks, Azul Bahia is considered a semi-precious stone. The slabs can be book-matched to create a mirror image of each other to create consistent flow in pattern. Properties: The depth of the blue and the veining varies. It is a very hard, crystalline and igneous granite; visibly homogeneous in texture. During the polishing process, an epoxy resin is applied to the surface to fill in any natural pits, cracks or fissures that may exist in the stone. This does not affect the durability, maintenance or beauty of the stone. It is possible for some of the more minute pits that are too small to effectively hold the resin, to reopen during other finishing stages. However, this will not detract from the overall quality or appearance of the stone. It is recommended to seal it to extend its longevity. Use: Due to its good wear resistance, it is suitable for internal and external use, including floors, kitchen worktops and other bespoke stonework in private and public spaces.